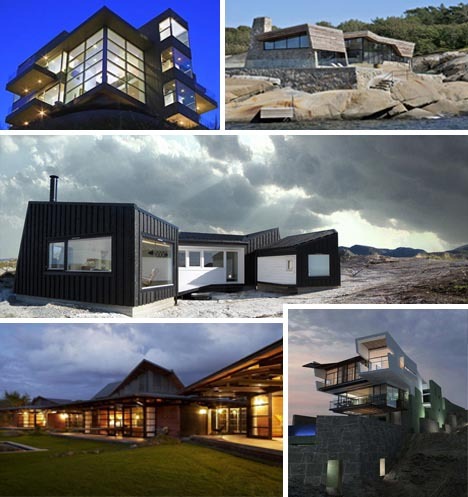 When it comes to waterfront property, the beautiful views demand wide open spaces and most architects take a minimalist approach in order to prevent taking attention away from the stunning natural spaces. 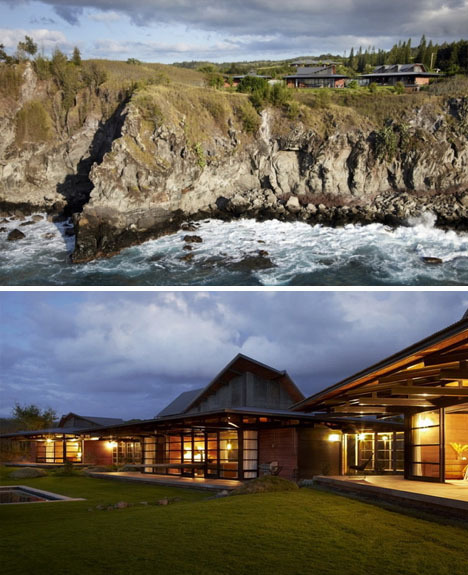 While there are ample excellent examples modern home designs these days, it seems these naturally stunning locations demand modernist design techniques more than any other location type. 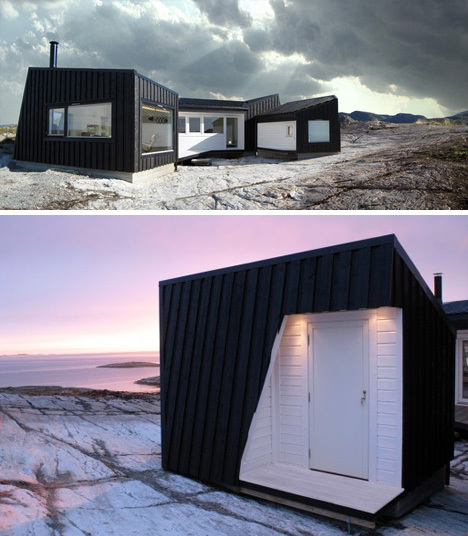 Simple, modern and open in all directions, this one-story coastal cabin, designed by the aptly named Fantastic Norway architecture firm, is a perfect place to relax and enjoy the panoramic views of the Norwegian coastline. The design is not only eye catching, it is also functional, providing a selection of wind-protected alcoves to enable visitors to enjoy spending time outside without risking their comfort. 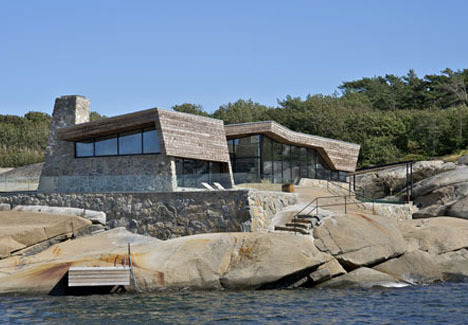 Another Norwegian beauty, this stone home by Jarmund/Vigsnæs was legally required to blend in with its surroundings in order to even get a permit. Fortunately, designers went beyond the basic requirements and created a strikingly stealth home that brilliantly blends stone, wood and glass. 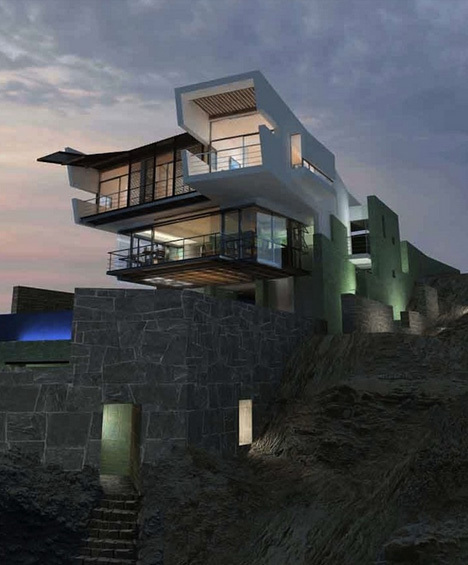 Set just off the shores of Peru, this stunning vacation villa by Longhi Architects blends stone masonry foundations and ultra-modern upper-stories and seems to simultaneously stand out and blend in with the jagged rock formations below. Seamlessly blending Eastern and Western design methods, this Malibu beach home by Olsen Kundig Architects is incredibly open. The stunning design allows residents to enjoy the amazing views of the Pacific without standing out too much on the gorgeous rocky coastline. When a plot of land offers views that stretch from Santa Catalina Island to the Santa Monica Bay, the last thing a home needs is too many walls obstructing the scenery. 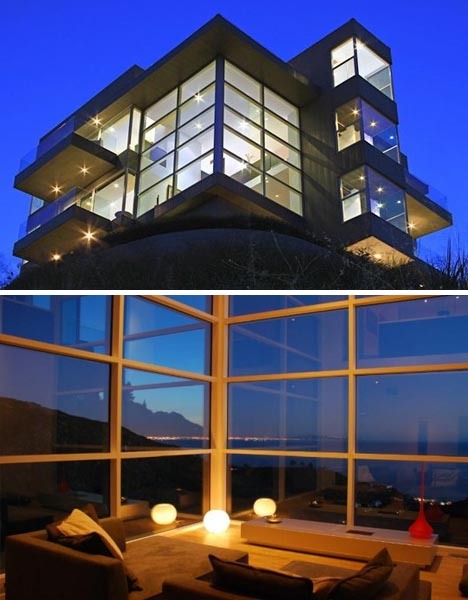 Fortunately, architect Steven Kent understood the value of this scenery and designed this ultramodern home to be as open as possible –with over 100 windows to enjoy the amazing views. 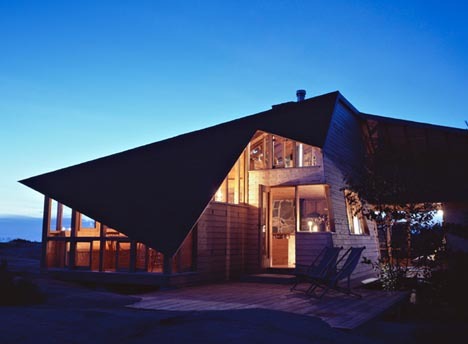 The clever use of angles in this design by Agathom Architects help this cabin appear small from the outside and expansive on the inside. The expansive living room opens up to a library, kitchen, dining room and patio, all of which offer stunning views from massive windows. 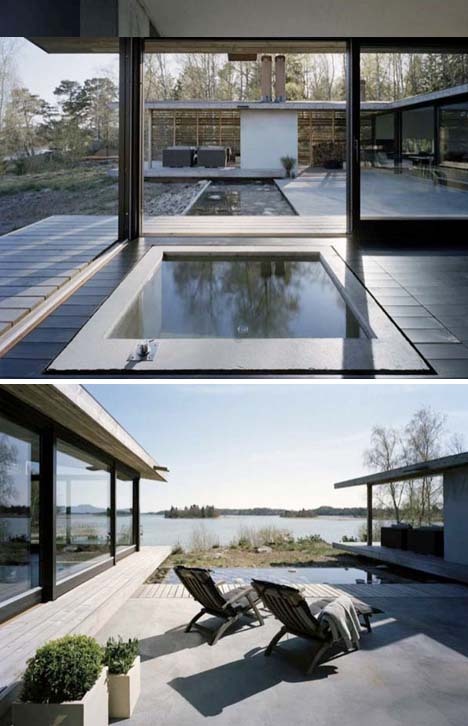 This U-shaped house just outside of Stockholm provides beautiful views of the outside lake from every room. Fire, air, water, and earth are all incorporated into the design by WRB Architects, allowing the residents to relax and feel at peace with their surroundings. 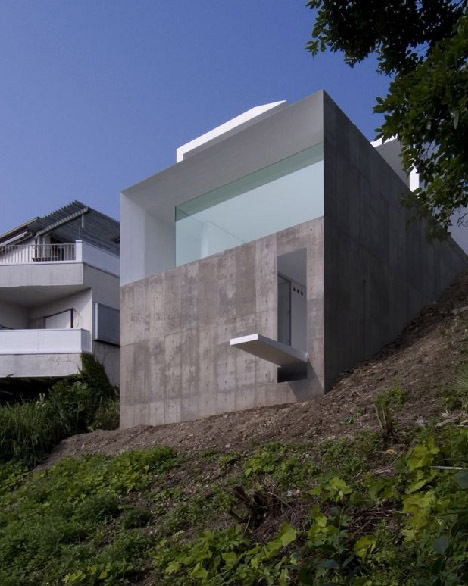 Most waterfront houses are serene places to relax and enjoy nature, but this cliff-top house designed by KA Architects was created for someone with a morbid sense of humor. While the house does have a view of the water, the built-in diving board that leads to nothing but the rocks below.